Post Processing Finishing Services for Additive Manufacturing. Performance matched finishes for the most demanding applications. Finished surfaces that exceed expectations. 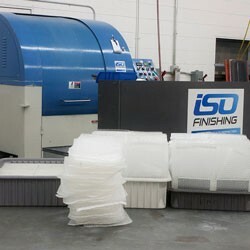 For superior surface finishing and finishing equipment sales, choose ISO Finishing. Small businesses to large Fortune 500 customers choose our mass finishing services based on our 75 years of experience of providing innovative, quality solutions and our superior customer service. As an isotropic finishing service provider, ISO Finishing specializes in vibratory finishing, high energy polishing and micro-precision surface improvement. We are known for our quality metal finishing expertise on titanium, aluminum, stainless steel, carbon steel, brass, and copper. Our ability to finish plastic, rubber, silicone and ceramic parts along with our custom metal finishing work, allows our services to extend to an array of industries, including Injection Molding, OEM’s, Firearms, Medical, Automotive, Dental and Aerospace. As broad as our finishing capabilities are, we remain an agile business with our main focus on customer service and quality results. Manufacturers, machinists and fabricators send us their injection molded, stamped, machined, cast or welded parts and we remove existing burrs, residue, flash and rough particles from the parts. Our centrifugal barrel finishing machines work the parts by applying up to 30 G’s of force against the selected media and parts. By adjusting the speed and duration, as well as the abrasives, polishing compounds and other additives, we are able to accurately and repeatedly control the level of material removal. We are experts in developing customized finishing programs for all your parts or components. 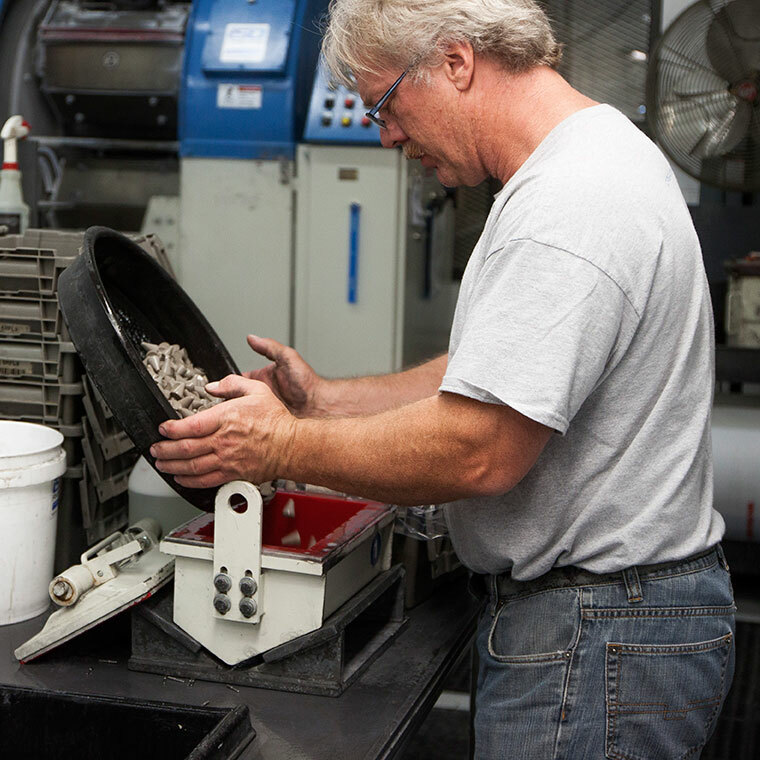 From simple deburring services to high end titanium finishing, our combination of specialized tumbling media and centrifugal polishing expertise fill the finishing gaps in your overall part production process. If your particular job, parts or components call for additional surface finishing requirements, such as stainless steel passivation, chrome plating or anodizing, ISO Finishing has you covered. Our long standing relationships with quality partners allows ISO Finishing to be your single source for complete part finishing. Whether your needs encompass aerospace metal finishing, firearm finishing, dental mass finishing or custom and OEM finishing, contact us today to discuss all of your isotropic finishing needs.